Shropshire is leading the way in providing public defibrillators as a national campaign to site the lifesaving equipment in schools and sports centres gains support. A total of 16 easy to use AEDs (Automated External Defibrillator) have just been installed outside community rooms across Shropshire in a groundbreaking move by Shropshire Towns and Rural Housing working with experienced Shropshire medical equipment supplier SP Services. Their lifesaving initiative comes alongside a national campaign by MP Maria Caulfield, who has instigated a Private Members’ Bill calling for every UK school and sports centre to have a defibrillator. The MP started the campaign when a young woman died after suffering a cardiac arrest in a netball match at a sports centre. There was no AED on site which may have saved her life, said the MP, a former nurse. In a £22,000 project, they have installed the AEDs outside Star Housing community rooms used by both residents and the general public. A total of 18 Shropshire groups hold events every week in their community rooms in Bridgnorth, Highley, Broseley, Gobowen, St Martins, Oswestry, Much Wenlock, Shrewsbury and Albrighton. They range from bingo to belly dancing classes in Much Wenlock, Spanish language lessons in Oswestry to ukulele practice sessions, with Age UK members meeting and even the Post Office opens shop in one at Arden Way, Alveley. “We want everyone in Shropshire to know that these defibrillators are for public use for both adults and children and where they are sited so that if there is someone suffering a cardiac arrest nearby then they can get emergency care quickly,” said Susan. Paramedic product specialist Chris Phillips, for SP Services in Telford, is providing free lessons to STAR Housing staff to learn how to use the equipment. 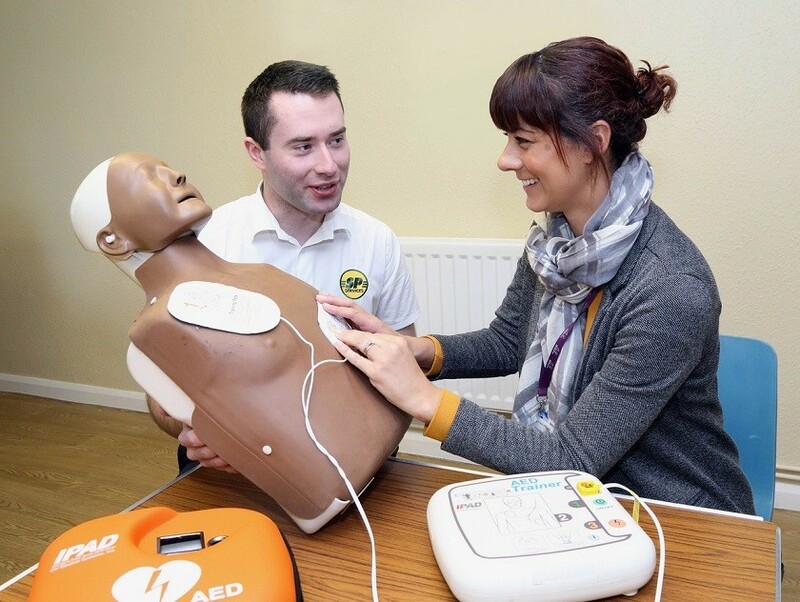 “We are delighted to be working with STAR Housing on this extraordinary project to provide community defibrillation equipment and pleased to provide training support that could make the difference to a life saved or a life lost in a cardiac arrest,” said Chris.